So you want to be a professional Soccer player? or Football player? Do you have dreams of playing soccer in Europe? Here’s your chance to qualify for a professional soccer (football) tryouts in Europe. 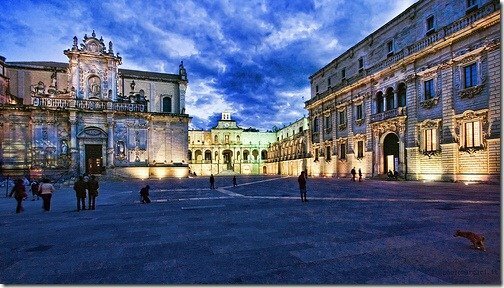 If you are between the ages of 16-18, or even as young as 15, consider coming to Lecce, Italy for a tryout. 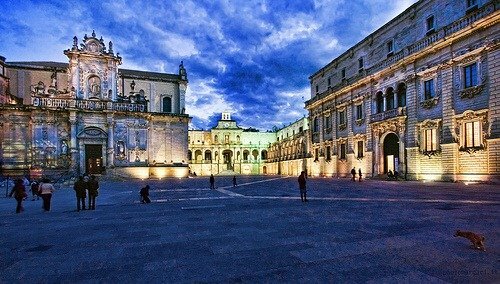 Lecce, Italy is the Puglia region, or the “heel of the boot” on the map. This camp gives great exposure for “foreign” football talents aged 16-17-18 and scouted by Italian professional coaches and agents. February is cheap for airlines, and you can couple it with a vacation to other parts of Italy afterwards. I know from my experience that getting drafted is ALL through connections… it’s who you know. Here are some details for the Tryout Program for top foreign soccer players aged 16-17-18. Hotel accommodation, breakfast, lunch and dinner are included. The first day is orientation with a presentation of the daily program, and meeting with staff members. Any idea when and where the tryouts are scheduled to happen in 2013? My name is Sancher Collins Kye-yelbu. am a Ghanian but friends call me jr.Beckham.I’ play forward,9 position,I play both legs,skillfully,good pace and humble…I’m 18 years of age.I need a real agent who will help me get a team in Europe.who will take me to my dream…I promise no disappointment,humility and loyalty…I dream invisible play,to become the best Africans have ever had and the world entirely.I’m full of confidence and morale that I can beat the reach to reach my peak…..this is my email cashfarmer04@yahoo.com. my cell number is 233241100655.hope to hear from you soon. does anybody know when is the next open tryouts of 2013?? I am 24 yrs living in USA and i know it says up to 18 years of age but i was wondering if anybody knows where i can fill in. I am very talented as other people tell me and i like to believe so. I want to chase my dreams and take it to the next level, was wondering if there’s any agent out there who can help me out. Hi my name is Arthur I’m 21 years old living in western Australia Perth. I am from west Africa Liberia. I am persently playing in the western Australian league and i will like to follow my dream and get to the next level but i’m looking for a agent that will help me. I am talented and confidence on the ball and play with both legs. if any information you will like to know about me, please email: arthurzayway.gaye@hotmail.com and also you can contact me on this number +61 412288422.
hi, i am 16 years old and am amazingly talented and gifted with soccer skills. i am from the fiji islands and here in my country we dont have soccer deelopments in academy for age group players like me. i believe if i am given a proffesional academy to join or a club , i can become one of the best soccer players in the world. when are the soccer tryouts for the later part of this year. Hello my name is Dennis Sendner I’m 14 turning 15 in 2 months I’m just commenting to see if anyone would be able to help me get a professional soccer career I am really good I started playing at the age of 7 to 9 but while I was in 9’s I was always playing up for 10’s I use to be right forward every game I played I scored more then 2-3 goals so if anyone can help please email me.